We know you are busy, and learning about phone systems is not your everyday cup of tea. We are happy to share our course in a 5-day email course. Easily digestable emails to help you build your understanding of phone systems. Get everything in this Free 5-day email course! Sign-up today and get FREE access to our first lesson! Quickly learn by signing up to this free 5-day email course that will guide you through the building blocks of business communication systems. 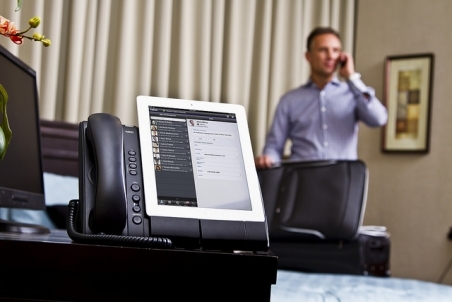 Understand the key benefits of business phone systems! Phone system basics to get you on the right track. Understand the different types of services that are offered to businesses. Traditional versus Hybrid versus VoIP. Learn the differences between all and what makes sense for your business. What is cloud? What is hosted? And why does it matter? Before switching, be sure you have all the bases covered. Internet speed, network utilization, networking cables, and etc. Once you sign-up, you'll get the first email delivered to your inbox. You'll always have access to your emails and any bonus material we produce. "Best. Email. Course. Ever. Time saver. I am busy and receiving these emails, in bite-sized chuncks were perfect." "Incredible course! I quickly gained the understanding of the different types of services and quickly knew what I needed for my growing business." Start things off with the first email, which will lay the foundation for the rest of the course. Get a thorough understanding in only 5 days.